We know we've reported several release dates for The History of Nintendo: Volume 2 — Game & Watch — the most recent being 15th December — but this time we're told it's definitely, definitely coming on 9th March. 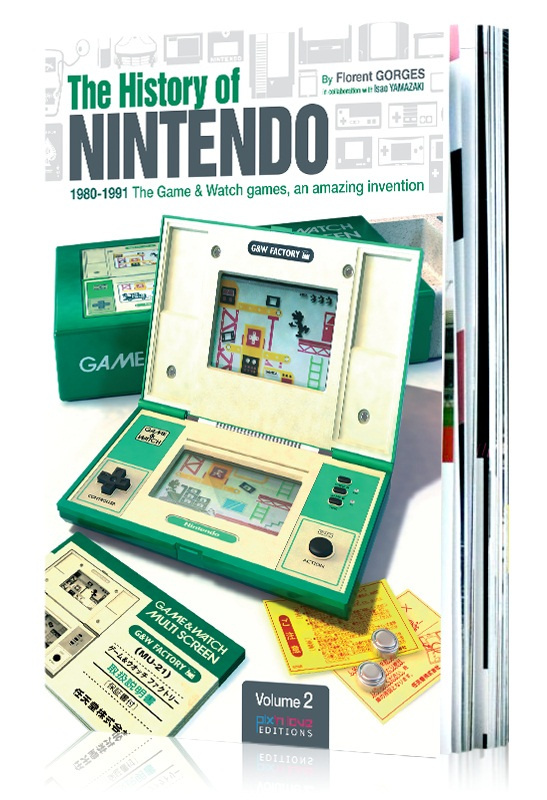 The follow-up to the rather good History of Nintendo: Volume 1 — 1889 - 1980: From playing-cards to Game & Watch, this second volume deals with Nintendo's dinky Game & Watch series, with 200 pages and over 1,500 photographs detailing the development of the little LCD beauties. The book is available to pre-order now from Pix'n Love Publishing for £24.99, with free worldwide delivery. I haven't even got round to reading my copy of volume 1 so I won't get this just yet. While i admire the work of these people i don't know if my priorities will ever be on reading books again. So it's hard for me to shell out 30 € for this. Sorry Pix'n Love. These books are a masterpiece of design. I received Vol 1. for my birthday last year with a personally written post-it found inside saying "thank you". The book itself has some writing quirks which I think are a result of translation but it makes it by no means hard to read. It was full of interesting facts that I'd never read before and loads of high quality photographs. The book didn't feel cheap either which made the fairly high cost of a book this size not complete non-issue. I will be buying Vol. 2 and I look forward to reading it. Is there any news about an English release of the History of Sonic book? That's the one I'm after. Not before the History of Mario and the Gunpei Yokoi books though thanks! Really wish I could get it but I don't have the funds. @James - Thanks for the news and keep writing those witty captions! I wish they would just sell this thing in America stores. Can we get to the NES already? @labrat7 Me too. I won the contest and they even asked me for my address....never came. @labrat7 @ce2lmao I wish you guys had spoken up sooner — please use the Contact form in future to let us know about problems like this! Let me investigate with my man at the publisher and I will get back to you. 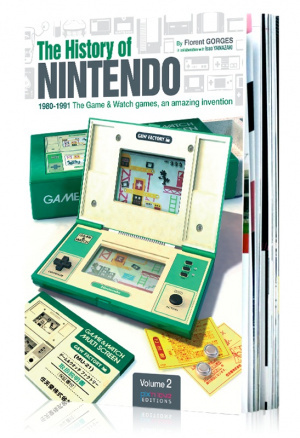 I haven't got the Nintendo History Volume 1 book prize either. Guys, I've got Pix 'n Love investigating this now. Will update when I hear more. @Ce2lmao Never got mine either!!! And yes i won just changed my name!